"I just try to do as well as I can every week and make the most of what I can and can’t control. I’ve learned a lot over the past year with how things have kind of gone and where my faults were." Bjorn Fratangelo joins the TENNIS.com podcast with Nina Pantic and Irina Falconi not long after his girlfriend, Madison Keys was a guest (she also semi-crashes his episode). The world No. 130 has won eight ITF Futures titles and three ATP Challengers, and he’s one of three American males to ever win the junior French Open. He laments the grind of traveling and jet lag after coming back from the Australian Open, where he qualified for the main draw (02:15). At least the 25-year-old gets to experience life on the tour with a crew of fellow top American players and his girlfriend (3:53). He talks about his relationship with Keys, describing themselves as “low-key about it” and “oldish news” (4:41). What’s it like planning a tournament schedule with his ranking just outside of the Top 100 (08:32)? He reached his career-high in 2016, ticking off a career milestone that he wants to surpass this year (10:07). Not that long ago, Fratangelo would have been a huge recruit for colleges and was considering Ohio State, but he ended up taking his talents straight to the tour (12:58). That doesn't mean school is over for him. He's going to pursue a degree with the Indiana East online program, and Keys will likely join him for dual homework sessions (14:52). But wait, is he actually named after Bjorn Borg? The story behind his name is more complicated than just pure idolization of the Swedish legend (18:43). Fratangelo shares his favorite moments from his career so far, which includes winning a set off of Novak Djokovic at Indian Wells in 2016 (21:27). 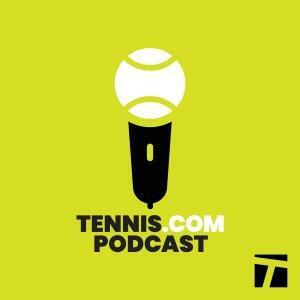 And he opens up about how dating Keys, a Top-20 stalwart and 2017 US Open finalist, can be really motivating (27:39).